Robots React, but Can They Feel? 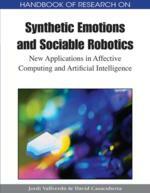 This chapter addresses the “Hard Problem” of consciousness in the context of robot emotions. The Hard Problem, as defined by Chalmers, refers to the task of explaining the relation between conscious experience and the physical processes associated with it. For example, a robot can act afraid, but could it feel fear? Using protophenomenal analysis, which reduces conscious experience to its smallest units and investigates their physical correlates, we consider whether robots could feel their emotions, and the conditions under which they might do so. We find that the conclusion depends on unanswered but empirical questions in the neuropsychology of human consciousness. However, we do conclude that conscious emotional experience will require a robot to have a rich representation of its body and the physical state of its internal processes, which is important even in the absence of conscious experience. Recent decades have seen a renaissance in the scientific investigation of consciousness, but a fundamental issue has been neglected, which is to integrate the facts of subjective experience with our understanding of physical processes in the nervous system. David Chalmers (1995, 1996) has called this the Hard Problem of consciousness because it poses unique epistemological challenges that make it resistant to straight-forward scientific investigation (see also MacLennan, 1995, 1996). The fundamental problem is that it would seem possible for there to be “zombies” in which all the usual neurophysiological processes take place in the brain, leading to normal behavior, brain scans, etc., but without any accompanying subjective experience (Campbell, 1970; Kirk, 1974; Kripke, 1980). Therefore, it is necessary to distinguish between functional (or access) consciousness, which refers to cognitive and behavioral functions fulfilled by consciousness in an organism, and phenomenal consciousness, which refers to the experience of subjective awareness (e.g., Block, 1995). The Hard Problem is especially interesting when we consider robot emotions. Emotion is essential to the competent functioning of many animals (arguably, all animals: Panksepp, 2004, pp. 34–7; Plutchik, 2003, pp. 223–6), and synthetic emotion can fulfill similar functions in autonomous robots (as discussed briefly in Background, below). Just as the emotion fear can galvanize an organism and reorganize its cognition and behavior in order to protect itself, so synthetic fear can function for a robot’s self-protection. But will the robot feel afraid? Or, more carefully, what, if any, are the conditions under which a robot would feel fear (as opposed to acting afraid, in both its behavior and cognitive processes)? Thus, my goal in this chapter is to address the Hard Problem of robot emotions. Phenomenology (Phenomenological): Phenomenology, especially as developed by Husserl, Heidegger, and Merleau-Ponty, is the systematic investigation of the invariant structure of experience by empirical, but first-person (q.v.) methods. Accurate phenomenology requires systematic training, which distinguishes it from naive introspection. Soma: The soma is the cell body of a neuron. Inputs to a neuron causes fluctuations in the electrical potential across the neuron membrane, which are integrated into the somatic membrane potential. In a typical neuron, and to a first approximation, a sufficiently large depolarization of the membrane at the axon hillock (q.v.) will trigger the generation of an action potential (q.v.). Subjective: There are two distinct but overlapping senses in which something may be termed subjective and contrasted with the objective (q.v.). In the context of this chapter, subjective refers to first-person (q.v.) observation, which is essential to the protophenomenological analysis (q.v.) of emotion. Colloquially, subjective may connote observations and opinions that are biased or distorted, but that is not the intent here, since the purpose of phenomenology (q.v.) is to produce unbiased and factual first-person (subjective) observations. Protophenomenological Analysis: Protophenomenological analysis seeks to explain the structure of conscious experience in terms of the interdependencies among protophenomena (q.v.) as determined by neurophenomenology (q.v.). Objective: Objective and subjective (q.v.) are used to make two different distinctions, which overlap, but confusion between the distinctions muddies the mind-body problem. In the context of this chapter, objective refers to a third-person (q.v.) perspective, as opposed to a subjective or first-person perspective (q.vv.). Colloquially, objective connotes the unbiased, factual, and scientific, but that is not the meaning here, since phenomenology (q.v.) seeks unbiased, factual, and scientific knowledge based on subjective observation. Action Potential: An action potential, also called a neural impulse or spike, is a stereotypical excursion in the membrane potential caused by the opening and closing of ion channels in a cycle of positive feedback and recovery. An action potential is triggered when a membrane is sufficiently depolarized from its normal negative resting potential; positive feedback causes a rapid repolarization in the positive direction, after which there is a relatively slow return to a potential slightly more negative than the resting potential, followed by a gradual return to resting potential. Action potentials propagate down axons without attenuation to convey information to other neurons. Hard Problem: The “Hard Problem” is the term introduced by Chalmers (1995) to refer to the principal problem of the scientific investigation of consciousness, namely, the integration of the primary fact of conscious experience with contemporary scientific understanding of the material universe. First-Person: In the context of consciousness studies, first-person refers to the experience of one’s own consciousness. In contrast to third-person observation (q.v. ), the observer is not separable from the observed. Such observation is inherently private, but the techniques of neurophenomenology (q.v.) permit the establishment of an observer-independent body of public fact on which scientific theories can be built. Protophenomenon: Protophenomena are the smallest units of conscious experience, which are hypothesized and investigated on the basis of neurophenomenological research (q.v. ), that is, on the basis of coordinated phenomenology (q.v.) and neuroscience. Axon Hillock: The axon hillock is the base of an axon, that is, the region of a neuron’s soma (q.v.) from which the axon projects. In many neurons it is the place where action potentials (q.v.) are generated. Third-Person: In the context of consciousness studies, third-person is used to refer to ordinary scientific observation of some object separate from the observer. For example, we may make third-person observations of some physical system, of the brain, or of some person’s behavior (including verbal report). Third-person observation can be a public process grounded in shared observational practices leading to a provisional consensus about observed facts. Often taken to be synonymous with objective (q.v.) and contrasted with first-person and subjective (q.vv.). Qualia: Qualia (singular: quale) are the felt qualities of phenomena, as aspects of first-person (q.v.) or subjective (q.v.) experience. Examples of qualia are the feeling of warmth of a warm thing, the auditory experience of a C-major chord, the feeling in the gut of anger or fear, and so forth. Neurophenomenology: Neurophenomenology combines the phenomenological (q.v.) investigation of the structure of experience with the neuroscientific investigation of the neural correlates of that experience. Thus it promises a coherent account of experience from both first-person (q.v.) and third-person (q.v.) perspectives.